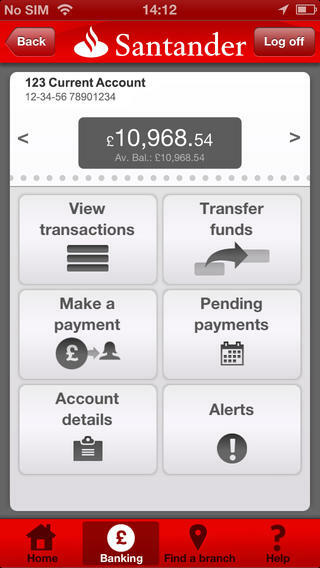 A decade or so ago, the concept of banking via your phone would have seemed quite alien and many would have been reluctant to share such information via their handset. However data security has risen, alongside the rapid growth in the number of, popularity and quality of mobile phones. This has created a situation where a vast percentage of the global population are confident to conduct their banking activities via their mobile device and, after all, this is a great time saver. According to Juniper Research, a total of 590 million people currently conduct banking activities via their mobile and this number is expected to rise rapidly over the next 5 years, surpassing 1 billion by the end of 2017. It is not until we stop and consider the significance of mobile banking, that we realise it’s importance and how vital it is to all mobile commerce. Mobile banking facilitates financial organisation from anywhere and at any time, which greatly aids consumers who can make mobile purchases in the same manner. If a mobile consumer can check their balance before they commit to a purchase or transfer funds between accounts, then they are more likely to complete their purchase. In many ways this has led to less fear over using banking apps and sites on mobile and therefore has been a catalyst to a banking revolution, where users are confident to make transfers, payments and organise savings from their device. This is reinforced by the rising popularity of contactless payment via mobile, which is only really beginning to blossom. 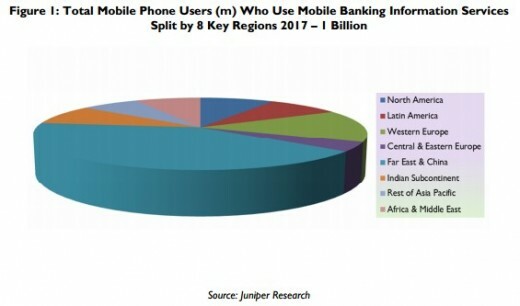 Unsurprisingly in Juniper’s forecast, the US is expected to posses the greatest of smartphone users banking via their mobile. Although it is quite surprising to see the share of this that will be occupied by the Far East & China and African & Middle Eastern nations.